Tahlequah Drug Company has proudly been serving our community since 2003. Owner Dennis Bird had a vision for a pharmacy with the best customer service in town, and he made his dream a reality. 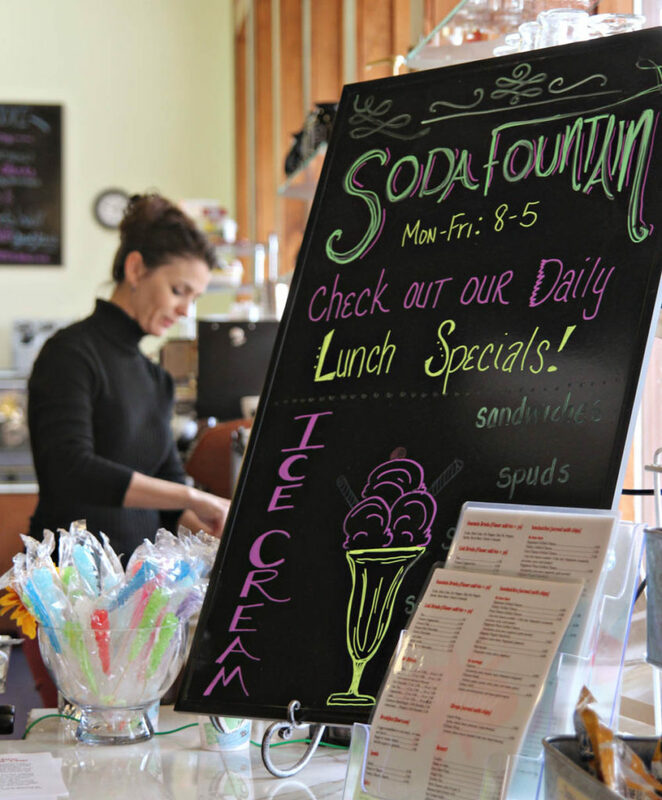 With the theme of our pharmacy being set back in the olden days, there is a Soda Fountain restaurant offering a variety of sweet treats from the past such as ice cream sodas, giant banana splits and italian sodas. The delicious drinks don’t stop there. Coffee being one of the biggest sellers of the Soda Fountain, is offered to NSU students and faculty for 50% off, during finals week, with a student ID. Tahlequah Drug Co. has been a long-time supporter of NSU. Many of our workers over the years have been college students. A 10% student or faculty discount is valid all year. We now have punch cards redeemable for a free ice cream after five punches and a free meal after 10. We also now celebrate Dr. Pepper Mondays. Come in every Monday and get a free Dr. Pepper on us. So come on in, relax with some delicious food and enjoy our free Wi-Fi and electrical outlets at every booth for laptops.